Today, women all over the world admire the sleek and clean look of emerald-cut diamonds. These sophisticated diamonds typically have 57 facets. While this cut is not as brilliant as others, the flat surface of the diamond’s top highlights the clarity that makes this cut sparkle and shine. When looking at this diamond from above, the sides look similar to steps, which is why the process of cutting this shape is called step cutting. Although this diamond cut is thought to be modern, it actually traces back hundreds of years. So, where did these elegant emerald cut diamonds come from? The emerald-cut diamond is one of the oldest diamond shapes, with stylistic origins tracing back to the table cut of the 1500s. Stonecutters initially created this shape for emerald stones. The Emerald cut became popular as it reduced the pressure during the cutting process and therefore prevented chips in the gems. Diamond cutters took notice of this new shape and soon after began to incorporate it into diamonds as well. 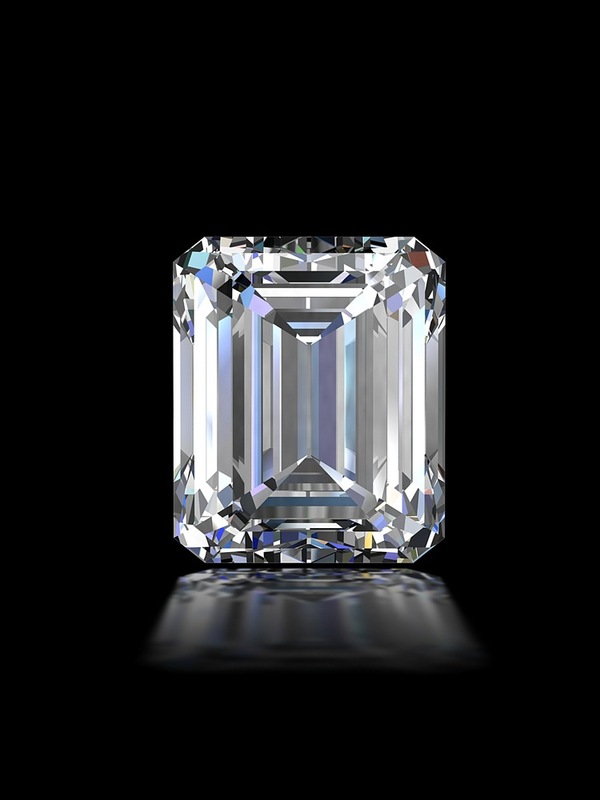 The actual term “emerald cut” was not used until the 1920s when the cut saw an increase in popularity. The rise of art deco, where clean lines and symmetry were admired, inspired the emerald cut trend. Since then, emerald cuts have remained one of the most popular choices for engagement rings and other jewelry pieces. Amal Clooney nagged one of the world’s most famous bachelors to settle down—and her patience paid off with a 7-carat emerald-cut diamond! Clooney’s stone is set in platinum with two tapered baguettes on either side of the center stone. Angelina Jolie is also a fan of the emerald-cut diamond, wearing a rock estimated to be around 16 carats! Emerald-cut diamonds made their way into the music world as well when Jay-Z popped the question to Beyonce with a stunning, 18-carat flawless emerald cut. Based on the prevalence of this shape in celebrity culture, it looks like this cut is here to stay! When hunting for the perfect emerald-cut diamond, remember that this shape does not conceal imperfections well due to the long step cuts, so quality is important. Go with a clarity grade of VS2 and above to ensure no visible imperfections will ruin the excitement of having your emerald-cut diamond! Because the emerald cut is so versatile, a number of settings work well with this shape. 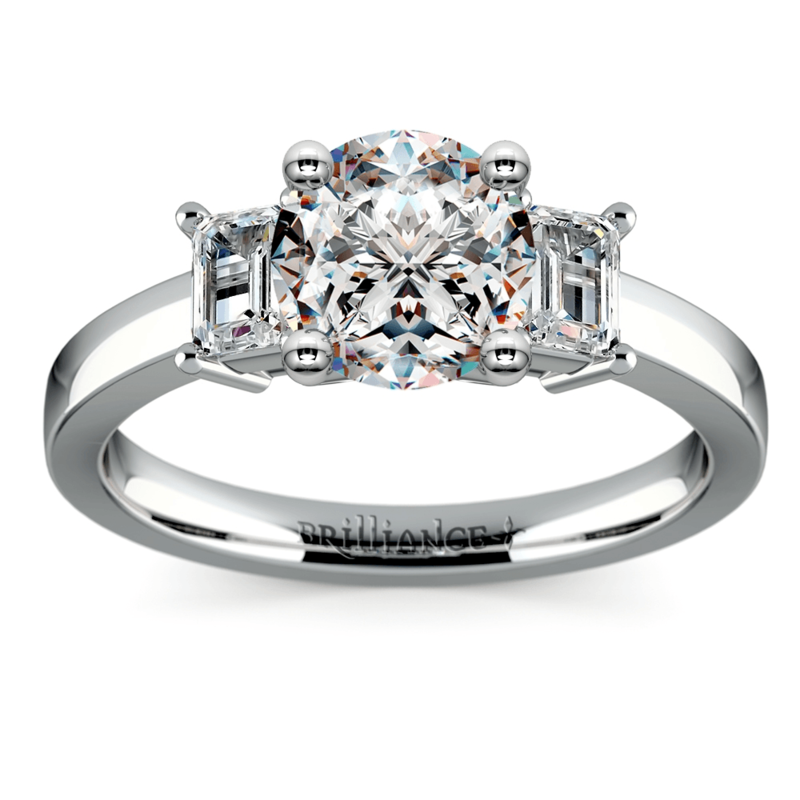 Many ladies love to put a modern twist on the emerald-cut diamond by adding a halo around the center stone. This cut can also be paired with two side stones to really add some extra sparkle. Another approach that has become more popular is to use emerald-cut diamonds as side stones paired with another cut as the center, as seen on this ring by Brilliance. Whatever setting you choose, this graceful and stylish diamond cut will be sure to add extra twinkle to your life!